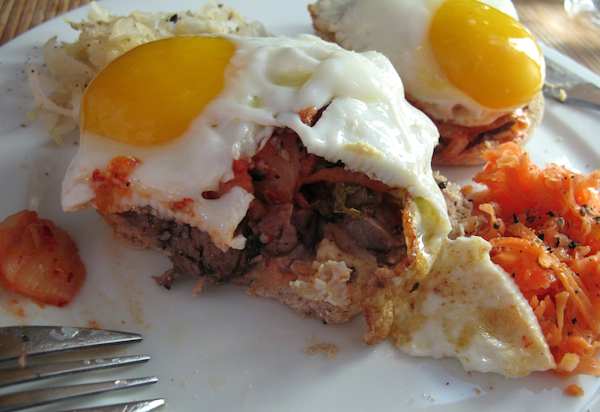 English muffins with a hummus schmear, topped with roasted leg of lamb, fried eggs, kimchi, ginger carrot salad, and sauerkraut. Yum! You can’t get more New York than this.